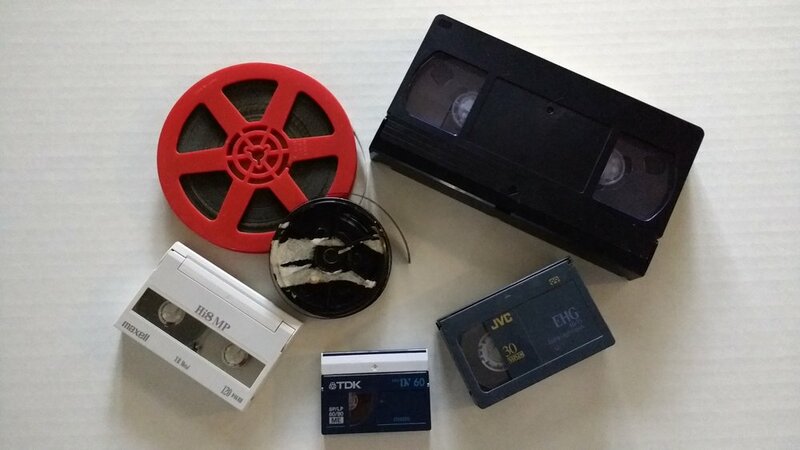 Videotapes degrade over time, and with use. You only have one copy which makes it almost impossible to share with family and friends. Maybe there are memories you didn't even know you had! That tape without a label, what is it? That clip from Grandma's birthday - as a child! Who knows what treasures you may be sitting on, unable to do anything with. Who else might want to see that? What if you want to post your video to facebook? Maybe gift a DVD to mom or the kids? I can convert your tapes to digital files in the format of your choice. If you desire, I can also burn your movie onto DVD or Blu-Ray. No more worries about about tape breakage. No more searching for a player for those camcorder tapes you want to watch, but no longer have the camera or player. Watch your videos on any device, anywhere and anytime you like. My prices are below any other commercial service of this type, and you get personal, discreet attention. This is not a big factory, this is one man with the equipment, knowledge, and time on his hands. If you have the player, and lots of tapes, this service is not for you. I'd be happy to help you learn to do this yourself. I'm not out to rob anyone, just provide a service for those who can't, or don't have time to do it themselves. Just send me your tapes by carrier of your choice, and I'll quickly convert them to format of your choice. Once in digital format, you can view, edit, share any way you wish. Once converted, you will get a link to download your movie files, and your tapes will be safely boxed and returned to you for free. If you can't download that much, I'll burn your files onto DVD for storage/access at no added cost. Want a custom-made DVD that you can share offline? We can do that too! Transfer movie to DVD or Blu-Ray with play menu. I can also scan your photos (up to 8-1/2 x 11), slides, and negatives in high-resolution. Working towards acquiring the equipment to offer Beta tape conversions, as well as 16mm film. Watch my blog and this space for announcements.